The Mungo Mill is the embodiment of our commitment to transparency in what we make and do. In November 2017 we opened the Mungo Mill, on the grounds of Old Nick Village, alongside our flagship store. Prior to this our production was situated in The Crags on an old dairy farm and in the Working Weaving Museum at Old Nick. The mill is the culmination of our commitment to an open and transparent production. A one of a kind building, conceived by Dax and Stuart Holding, and brought to life by architect Andrea Christoforetti, it houses the thriving hub of Mungo production. Open to the public, here you can learn more about how we make our textiles and watch our team of weavers and seamstresses do their skilled work. We encourage the public to visit and experience The Mill, which is the beating heart of Mungo. 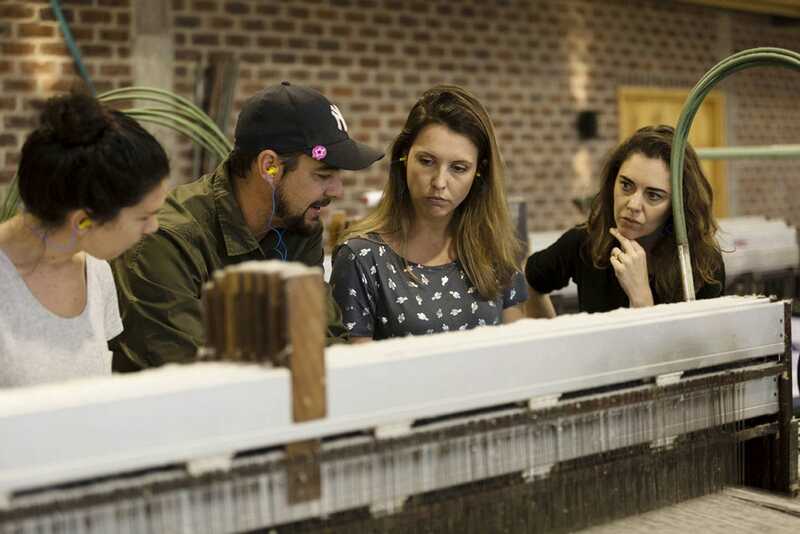 Visitors enter through a set of arched glass doors – the distinctive roar of the working looms can already be heard at this point – and can walk through the building to experience the Mungo production process. A large central, double-volume room houses our collection of 16 restored looms from different weaving eras, which can be seen from an elevated viewing deck that weaves from the walkway into the mill. Outside, a moat, inspired by the age-old art of milling, snakes around the entrance and under the ‘skin’ of the building. One of the most distinguishable characteristics of the building is a wooden slatted ‘skin’ that wraps around an elevated walkway, inspired by the overlapping warp threads, an angle often seen on the heddles of a loom. The curved facade of the wooden ‘skin’ also emulates fabric folds. The Mill is open to the public, 7 days a week from 9am – 5pm. 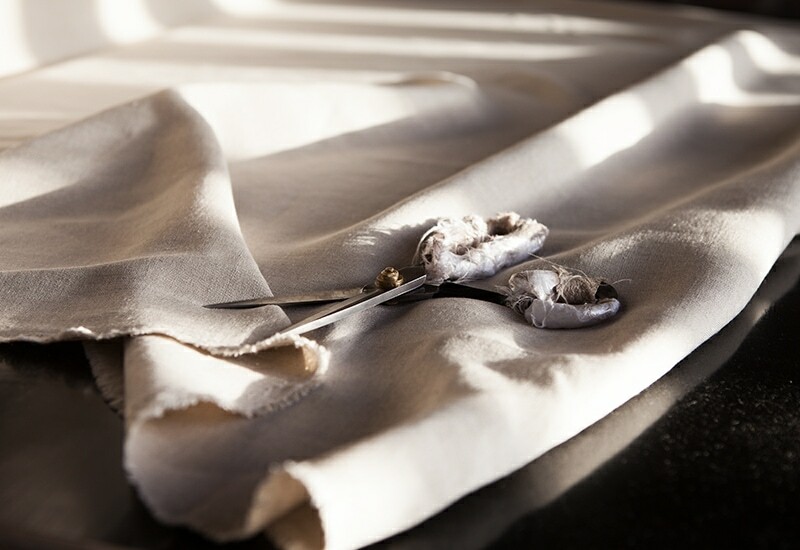 This winter, you can experience a part of the Mungo production process and the transparency in which Mungo cloth is made. We have launched guided tours every Saturday and Sunday morning. You can wander between the looms with a knowledgeable guide and engage with the weaving process to experience the age-old art of weaving from pre-industrial revolution to present day. An insightful and interesting experience for all. Saturday & Sunday mornings at 11.30am. No booking required, simply meet at the entrance of the Mill. Tours are approximately 1 hour long. 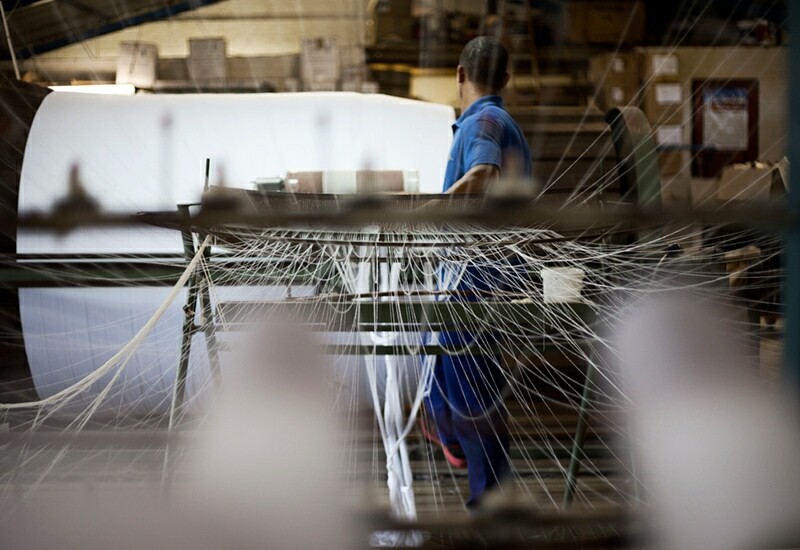 We undertake a number of steps in the production process to bring you the finest quality textiles. Whether woven on our antique looms or our restored Dorniers, we take care at every step to ensure the best quality and finish. The process below describes the journey of the cloth and the many hands that will touch your Mungo product, from inception of design, to our skilled team of weavers, inspectors and seamstresses. Our designers will come up with a weave construction that is appropriate to the product. Usually it will be the first time we have woven this combination so it keeps it exciting. 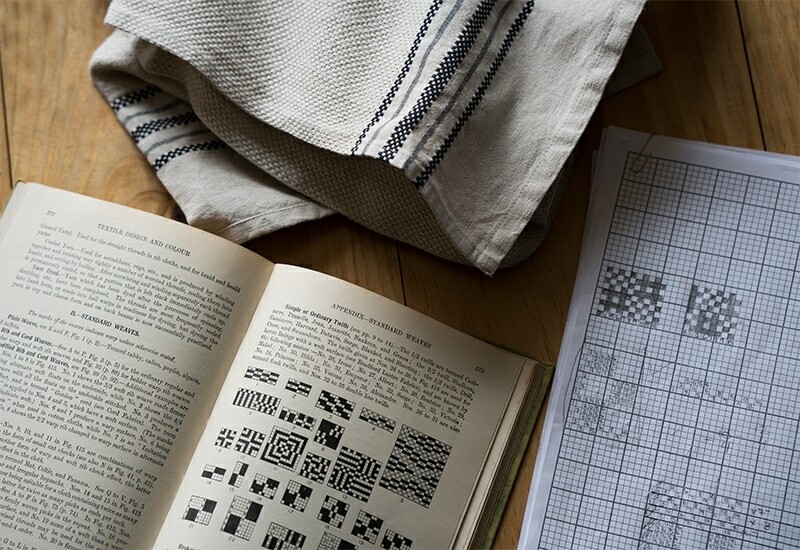 Stuart has been collecting antique weaving books for the last 40 years and these are often used for inspiration. We then source a suitable yarn, which matches the requirements that the product will need; the fabric must be durable, aesthetically pleasing, and have a great tactile quality. The weave design plans are drawn up by hand the old fashion way onto graph paper. 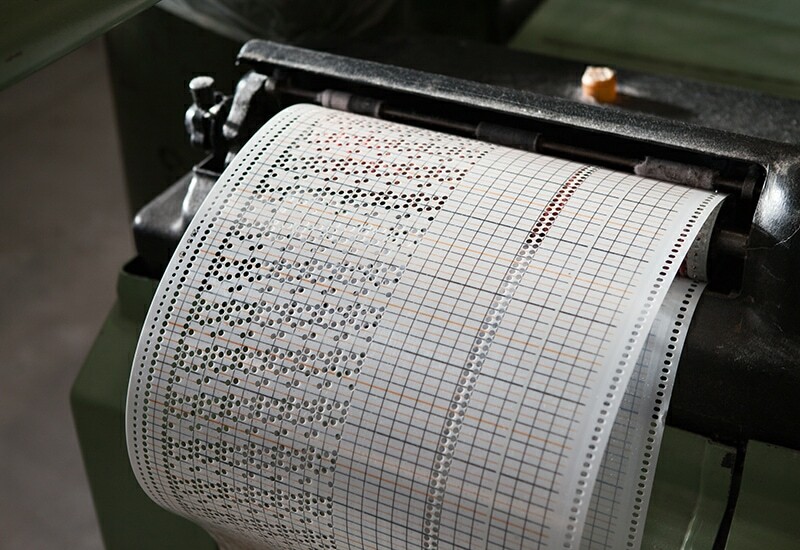 This information is then used for weaving a sample on our 100-year-old power looms. Once the fabric has been washed and made up into a product it is then tested by us using it day to day. If we feel the product has a place in the Mungo range we will convert the designs to a more modern computer program for fine-tuning and documentation. This is then converted to a pattern card and production will begin. The fabric is then given a name (not just a number) and its life begins. Warping consists of the arranging of yarn threads in long parallel lengths of equal tension, onto a beam in preparation for weaving. During the warping process, cones of yarn are individually placed onto a rack called a creel. From this creel yarn passes through tension and spacing devices and through a leasing reed, which separates the yarn threads and keeps them in the correct order before being wound onto a warping beam. Once the warp has been wound onto the beam it will be transferred to the loom and tied on. Depending on the width and thickness of yarn, the warp could have anything from 800 to 5000 threads. This is sometimes done by hand and all just in a days work! An average Mungo warp is about 500 to 1000 meters. We currently weave on 3 different types of looms. The Lancashire shuttle looms, Ruti Looms and the Dornier Looms. All of Mungo’s looms have been restored, gifted or purchased from Mills that have either closed down or upgraded their production. We still see much mileage and fascination in these looms and they prove to us daily of the quality and intricacy of fabrics they are still able to produce. The basic principle of weaving involves using a loom to interlace two sets of threads at right angles to each other: the warp, which runs longitudinally, and the weft that crosses it. The product of this, is fabric. One warp thread is called an end and one weft thread is called a pick. 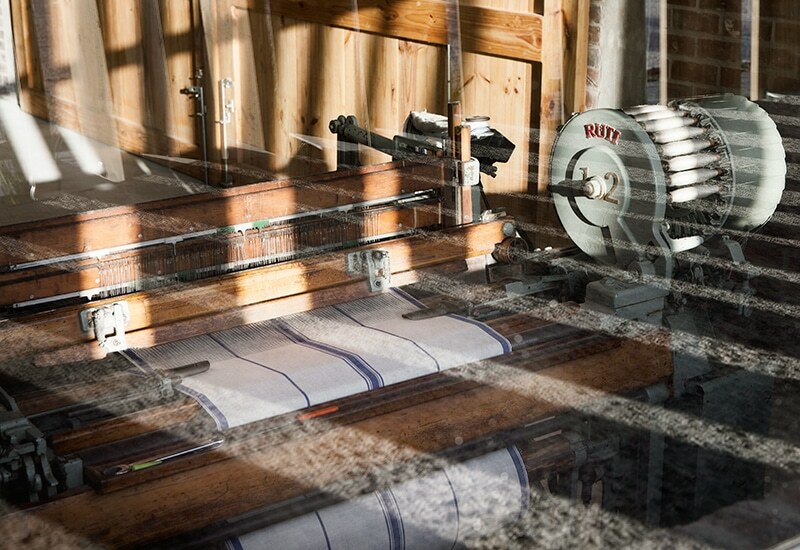 Step inside the Mill to see and read more on our looms. Once the warp is finished and is now woven material, it needs to be inspected and finished. Inspection consists of the fabric being rolled over a light box to highlight any faults that may have occurred during weaving. The faults can be mended with needle and thread. From here it goes to finishing. Depending on the fabric, different processes occur. 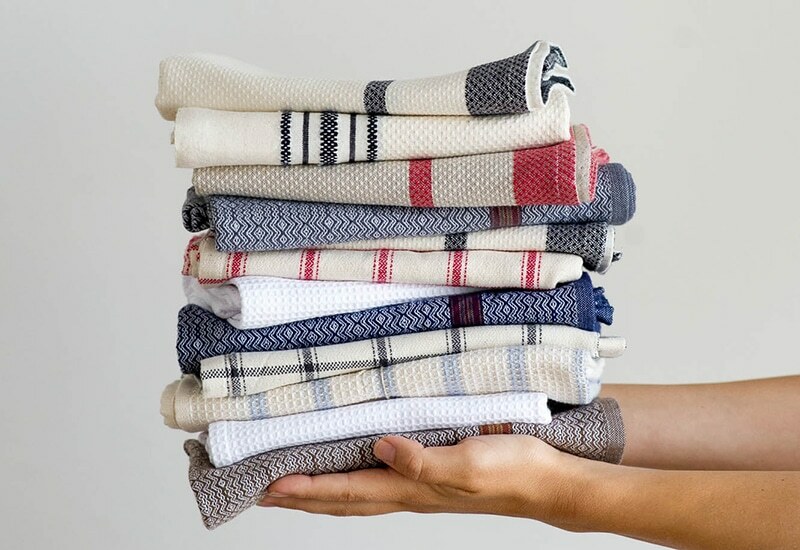 It will either be a simple wash and dry, or sent to an outside company where they finish entire rolls of fabrics through large bath washes, using different finishing and dying techniques, to avoid creasing and create evenness in the fabric. CMT refers to the making up and sewing of the products. Each item is individually measured and cut by one of our cutters and then passed on to the seamstresses who will hem, join and add finishing touches to all of the Mungo products. Finally the pressers will have final inspection of the product by ironing and snipping any loose threads. These could be the final Mungo hands that touch the Mungo item before being shipped off to all corners of the world. Unless of course you stop by one of the Mungo stores. 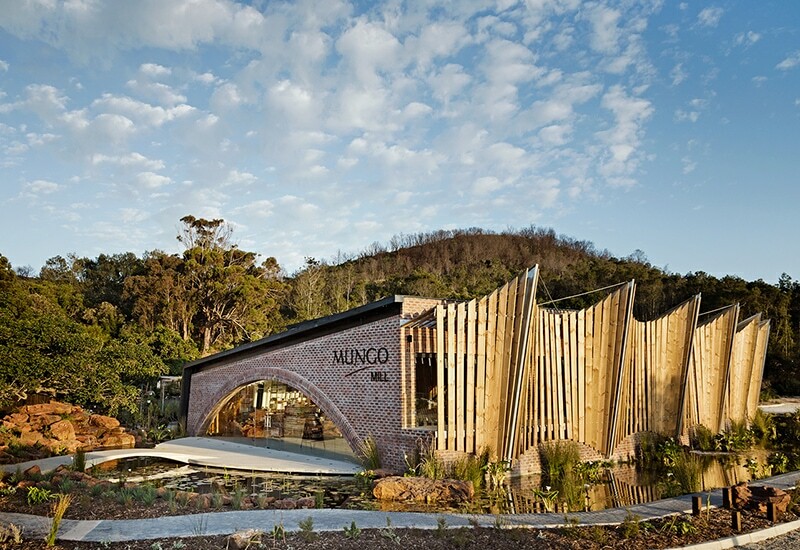 If you step into one of the Mungo stores, it will be an honest reflection on the process you see before you. 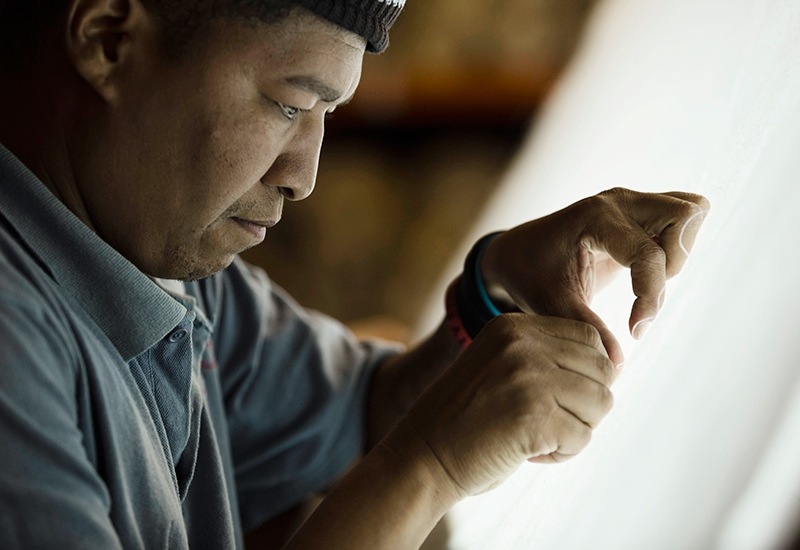 One of design, detail, craftsmanship and connecting back to how some of your everyday items are produced. It highlights the importance of an industry with an ancient history that is still relevant today. 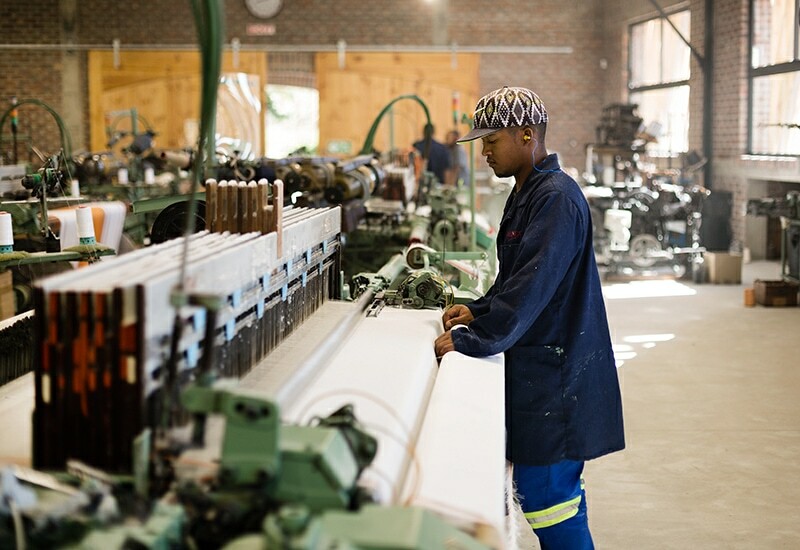 Using natural fibers, creating employment within South Africa and producing products made to last. We currently use three different types of looms and one type of weaving machine. The original Lancashire looms that our business was founded on are still going strong and we’ve expanded to include looms and machines from different eras. Maybe one day we’ll have a modern computerized machine running our looms, imagine that! The Lancashire loom was invented during the 1840s & originally powered by either water or steam with a single steam engine driving up to 200 looms. Although it still had to be stopped to refill empty shuttles, a single weaver could work 4 to 6 looms instead of one. It became the mainstay of the Lancashire cotton industry and at one point more than 20,000,000 looms in were in use. At Mungo we have 2 Lancashire looms that have been retrofitted with Hattersley dobbys. We think that they were made some time between 1840 and 1890. Dornier, the German aircraft manufacturers, changed to producing textile machinery after WWII. In 1963 they produced their prototype Rapier Loom which came to be considered by many as the ‘Rolls Royce’ of modern weaving machinery. The shuttle was replaced by 2 sword sticks which take the weft thread through the warp sheet. At Mungo we are now running 16 Dornier looms, all made in Germany around 1978, each one has been delicately refurbished. The latest edition to our collection is a wide width Dornier allowing us to weave seamless bedding. The Ruti loom is a direct replica of the well known Northrop, an automatic pirn change loom invented in 1896 in the USA. The principal advantage of Northrop was that it was semi-automatic, when a warp thread broke the weaver was notified. When the shuttle ran out of thread, the machine stopped. This loom changed the weaving industry, allowing a single a weaver to work over 30 looms. The exact history of our Ruti looms is uncertain, but we think they were made by the Swiss company Ruti around 1960 after the Northrop patent expired. Invented in 1890 by George Hattersley in Yorkshire, England, this domestic kit loom combined all the best 19th century engineering into a compact form. Home weavers would receive their Hattersley in a crate of numbered parts and put the small loom together themselves. Before this loom was electrified, it was powered by foot peddles which would propel the shuttle back and forth. At Mungo we enjoy Hattie (as she is affectionately called) for her distinct personality and sound. You can see Hattie in action at our Cape Town store.